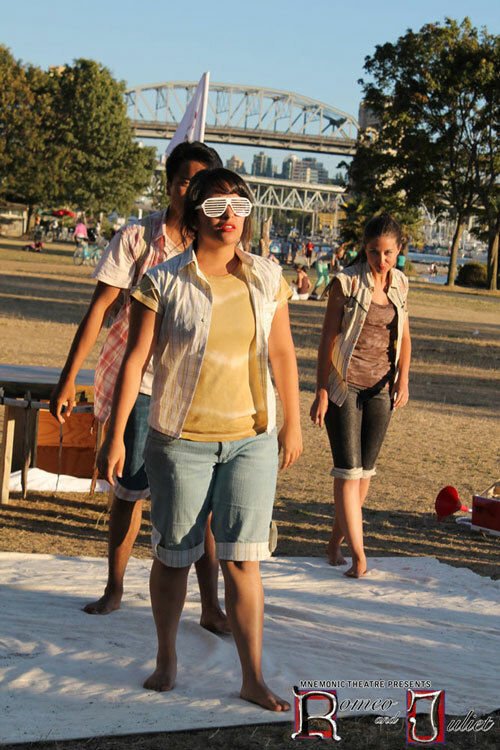 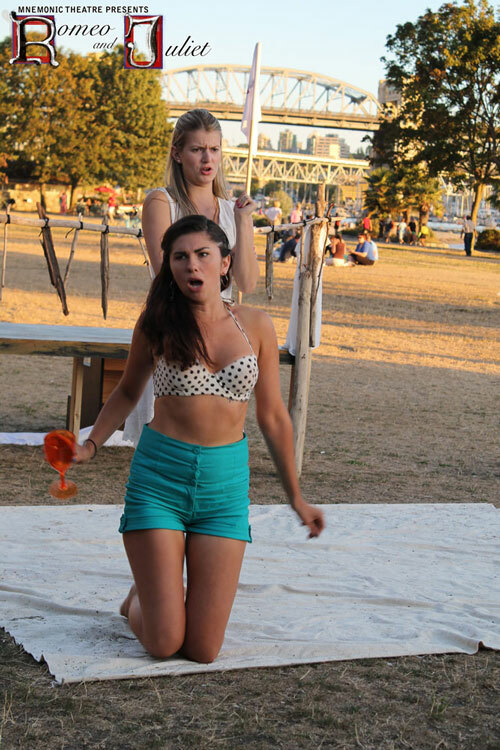 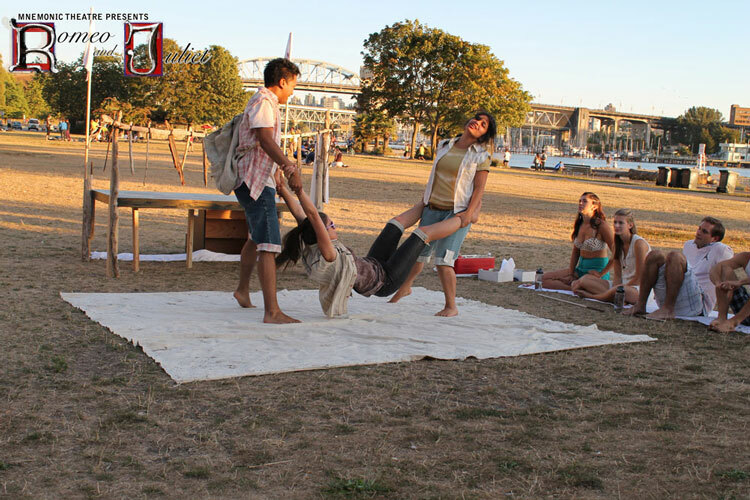 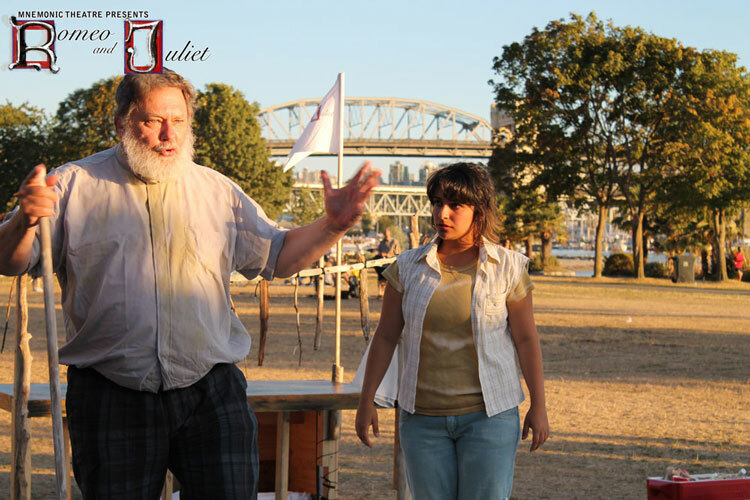 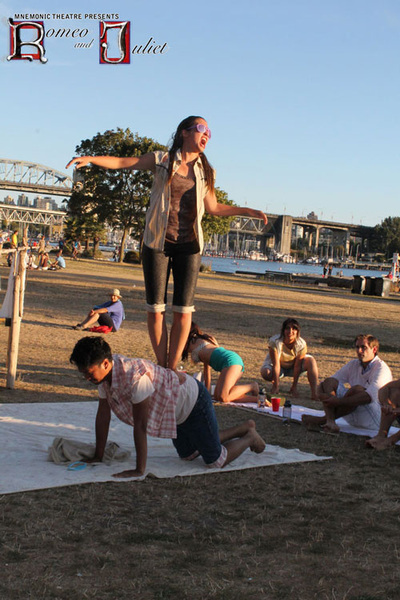 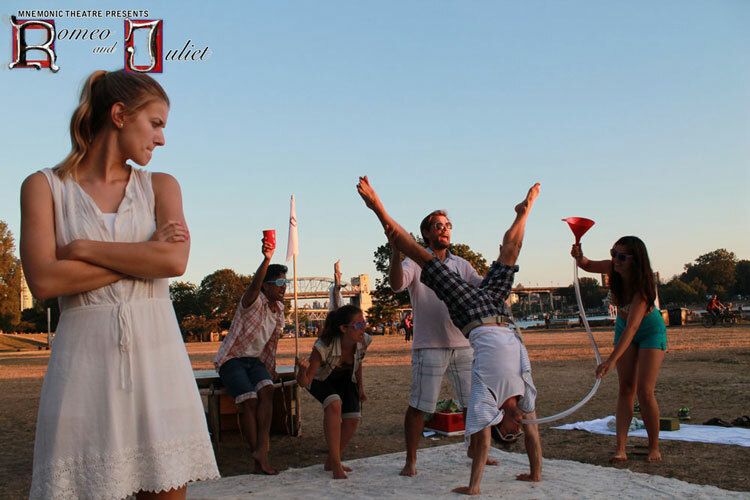 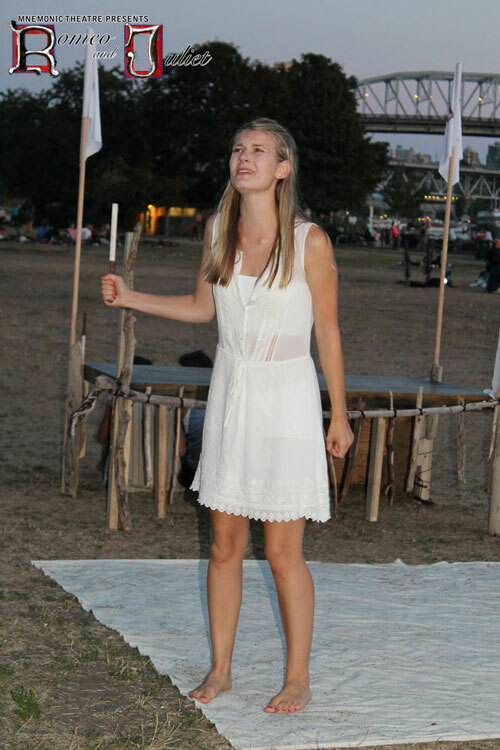 A free production using the lovely Sunset Beach in Vancouver as backdrop. 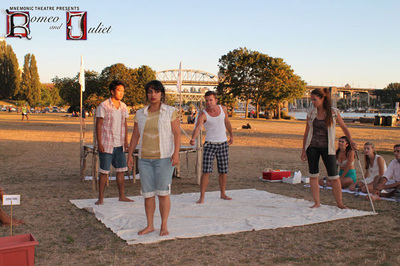 Director Jordan Dibe wanted two "beach tribes", a little today, a touch 60s, a hint of right side (Capulets) - wrong side (Montagues) ".Sun bleached denim and faded plaid for the Montagues, while crisp whites, bright clean plaids and pastels for the Capulets. 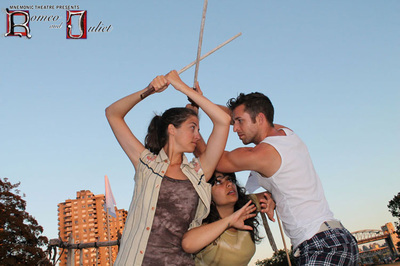 Gender played no role in casting, so a "party girl" Mercutio "mounted" a willing male Benvolio during the Queen Mab speech. A homeless Friar, and a sun-worshipping Nurse., Juliet and Romeo are both female, and yes it still ends in tragedy. 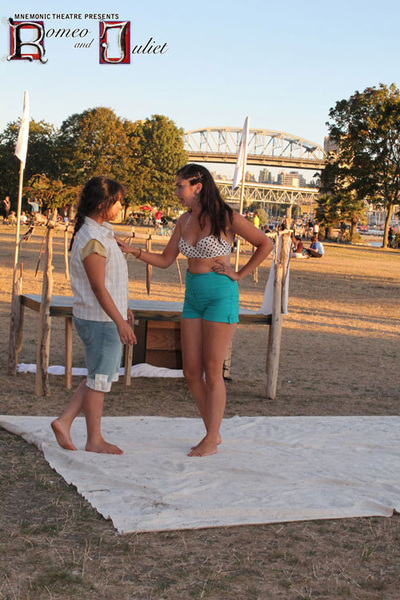 This was a Canadian Actors’ Equity Association production under the Artists’ Collective Policy.